We will examine the social construction of race—and the consequences of this social construction—throughout history and into the present. We will identify the varied, interlocking ways in which white supremacy operates ideologically, institutionally, internally and interpersonally in the United States. And we will evaluate our own personal racial identities and our family histories to identify whether and how we have benefited from or been harmed by racism and anti-Semitism. Then we will move to action, studying historical examples of Jewish involvement in racial justice work and applying lessons learned to the contemporary needs of the racial justice movement. You will leave with a commitment to concrete action to expand our community’s racial justice work. When: Sundays, May 12 and May 19, 1-6 p.m. Facilitated by Kavod’s anti-racism curriculum team: Kavod is a vibrant lay-led Jewish community in Boston for people in their 20s and 30s committed to transformative local organizing and meaningful Jewish ritual. 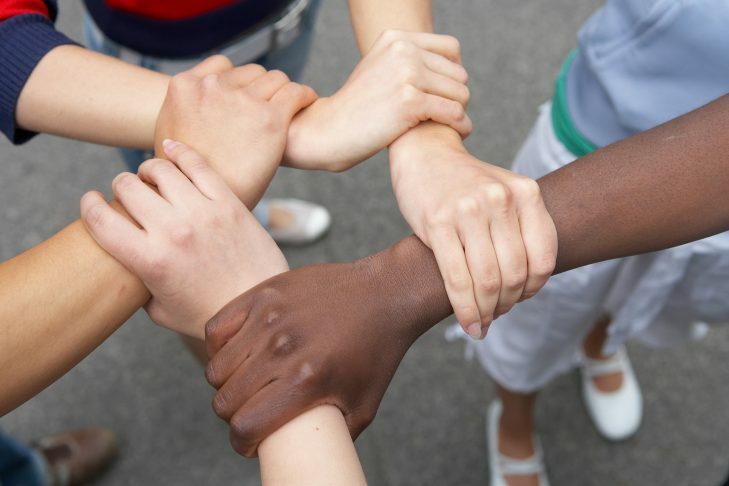 Kavod’s anti-racism curriculum team explores the Jewish obligation to create a more just world. We imagine a world in which Jews of all racial and ethnic backgrounds build authentic, sustained solidarity with one another and in deep relationship with other communities targeted by white supremacy.